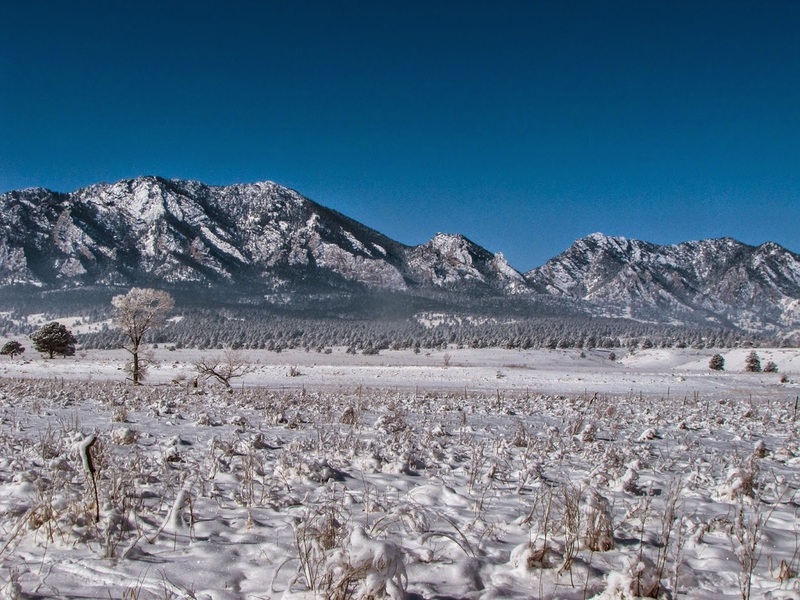 Directions: From Boulder travel south on Hwy 93. 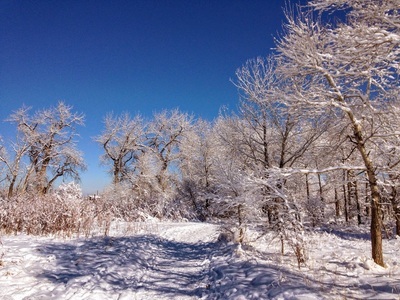 Turn Right into the Trailhead and Parking Area. 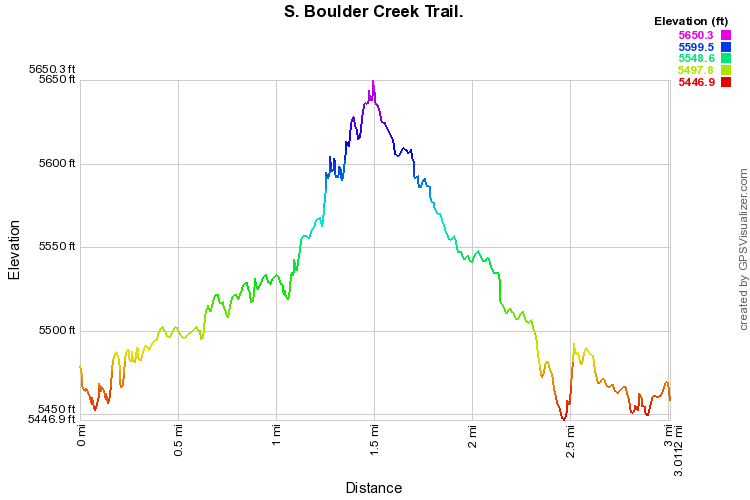 The South Boulder Creek Trail is a popular and easy going trail. It also provides access to the Mesa Trail, Shadow Canyon, S. Boulder Peak, and Bear Peak. 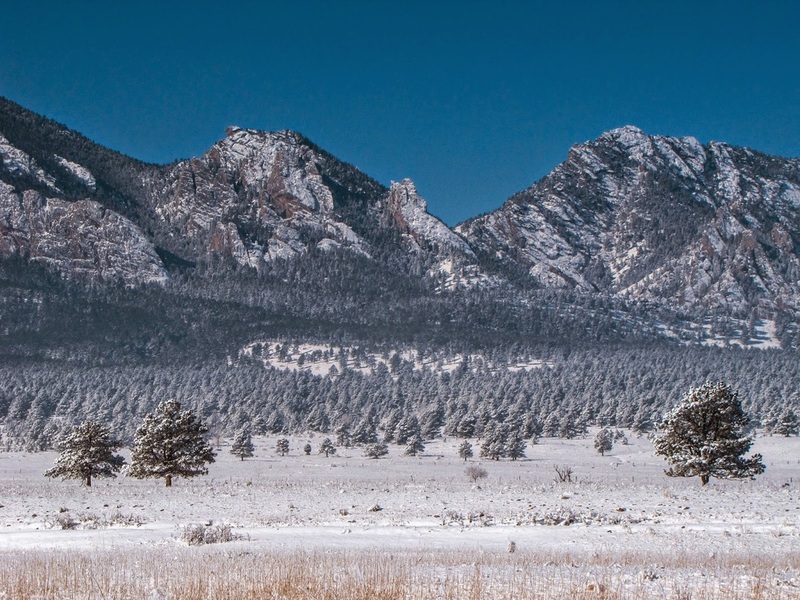 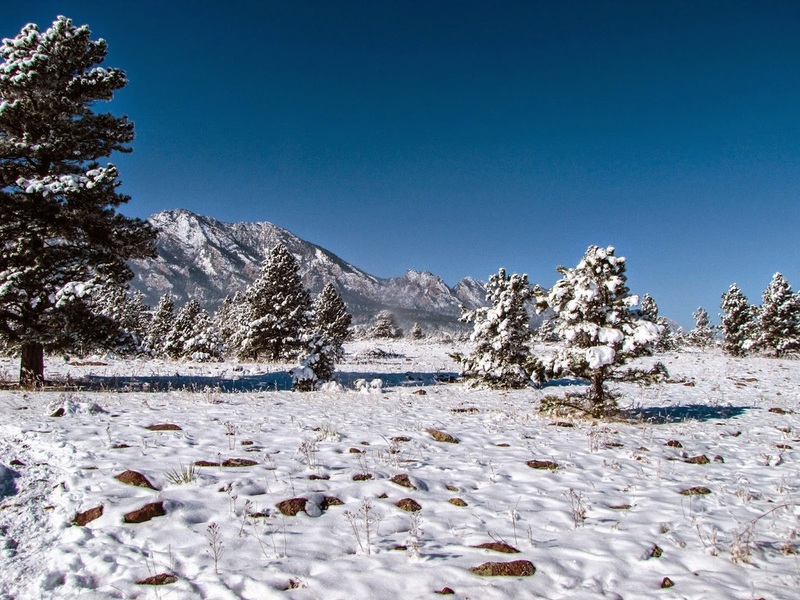 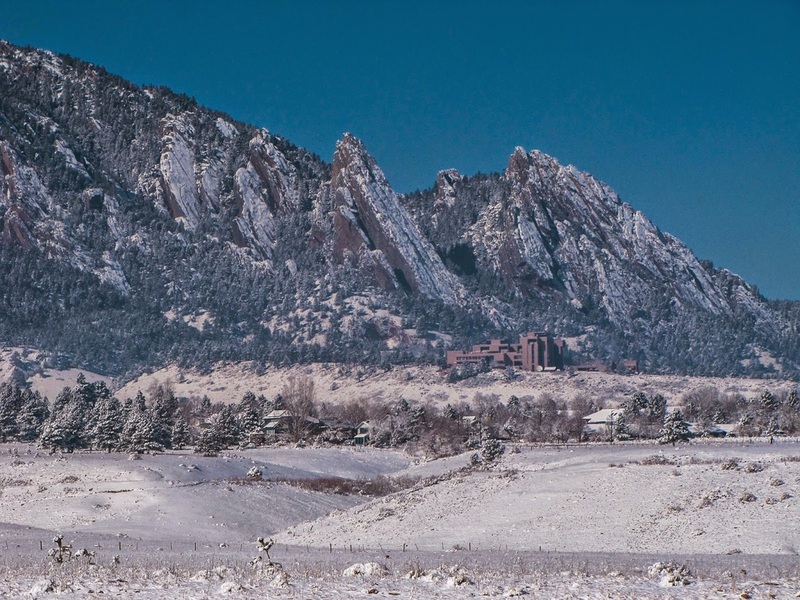 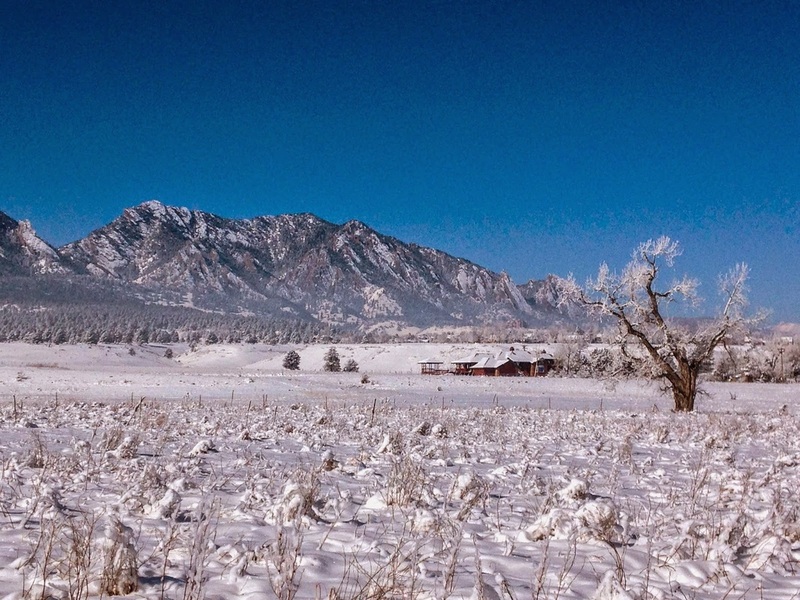 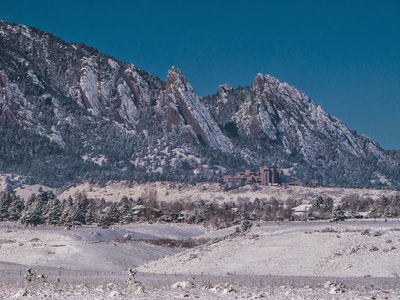 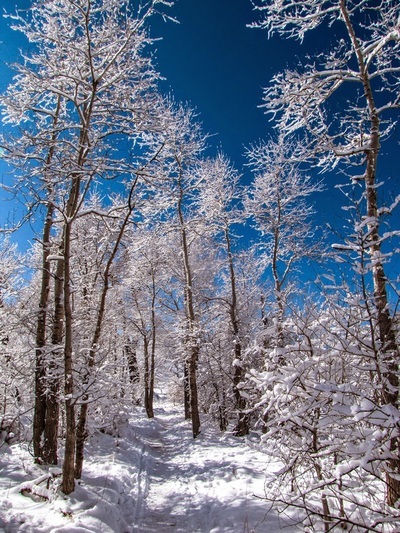 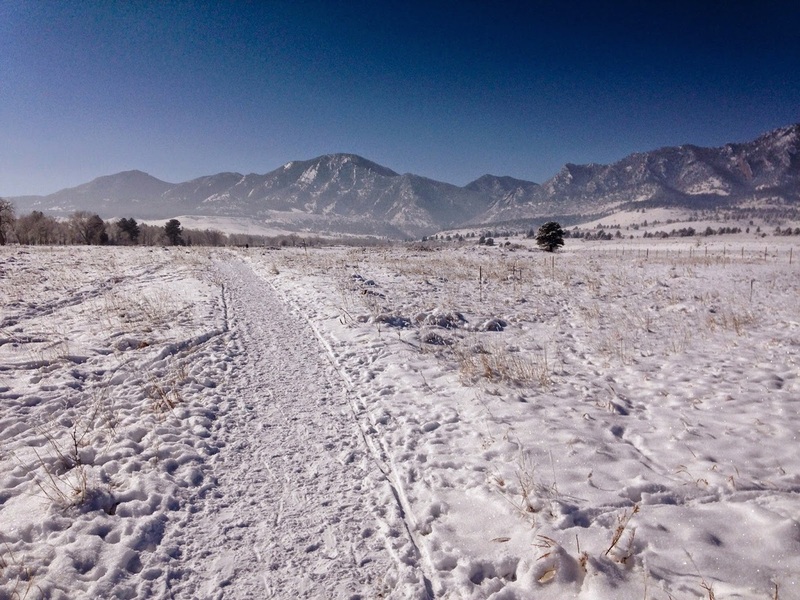 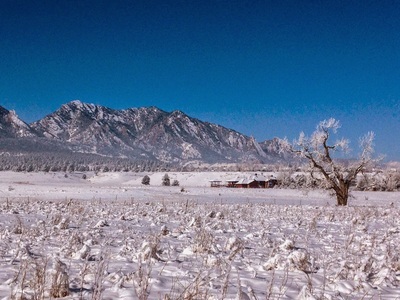 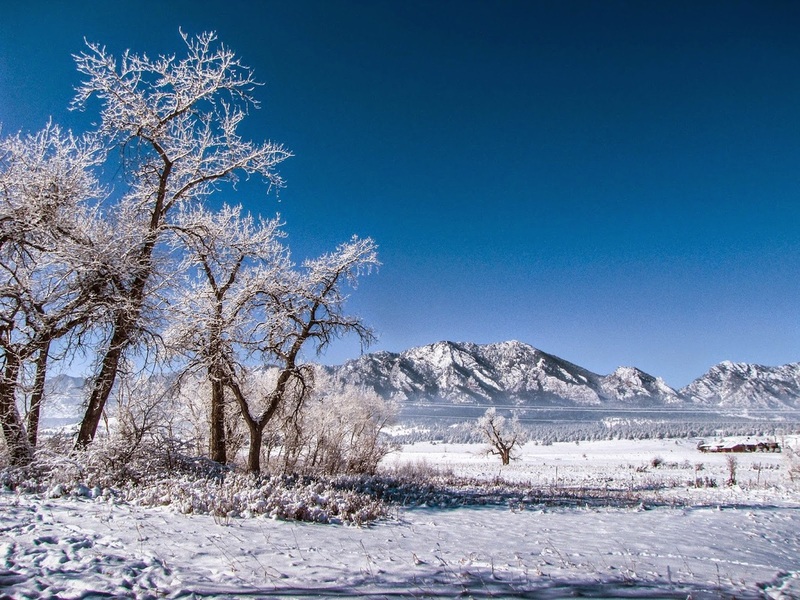 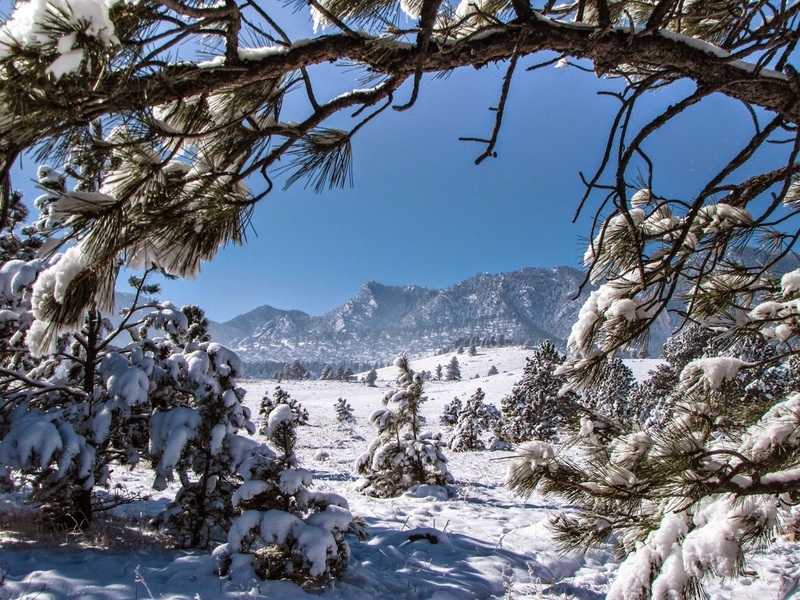 In the winter, it is an excellent way to experience the S. Boulder Mountains without sliding on the icy mountain trails. 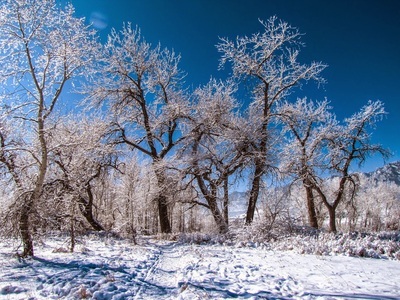 The trail provides wide open views, nice cottonwood groves, and a rolling terrain. The ease of this hike makes it excellent for kids and popular for biking as well as hiking. 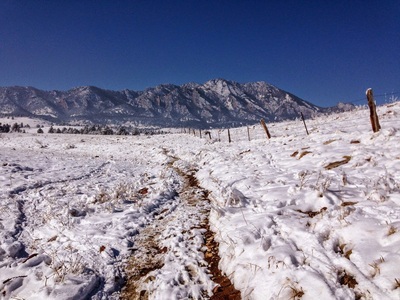 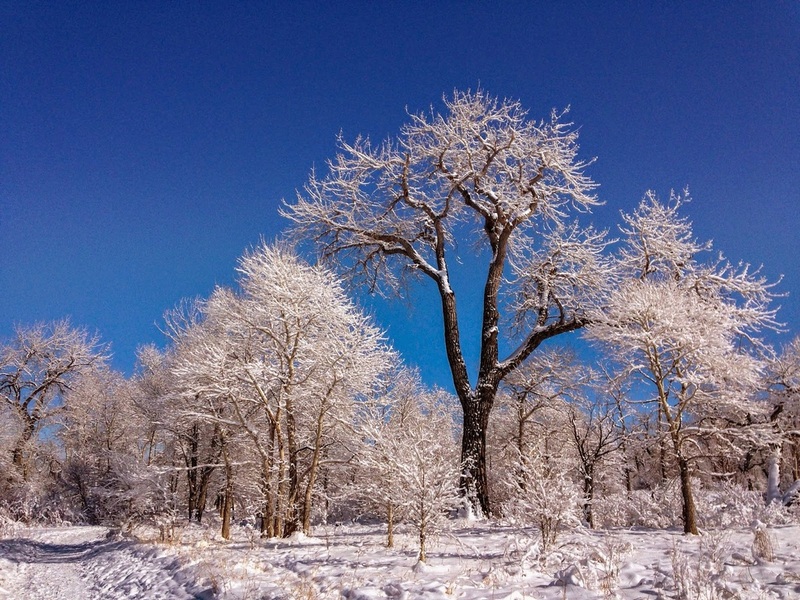 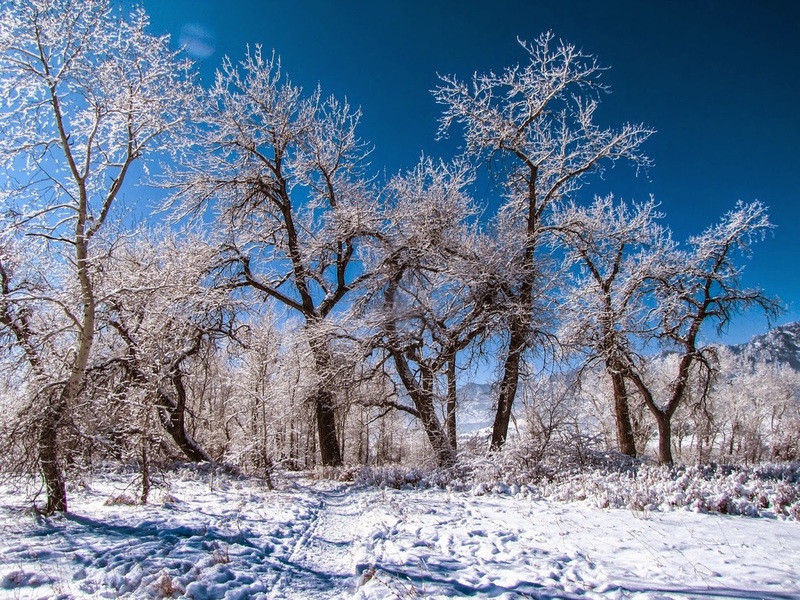 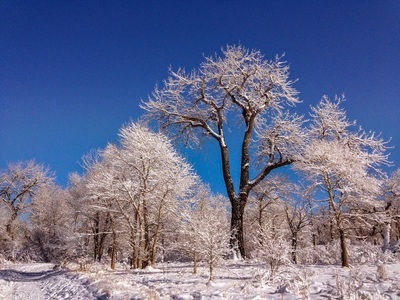 I hiked this trail the morning after a chilling ice storm rolled through the Boulder/Denver area. 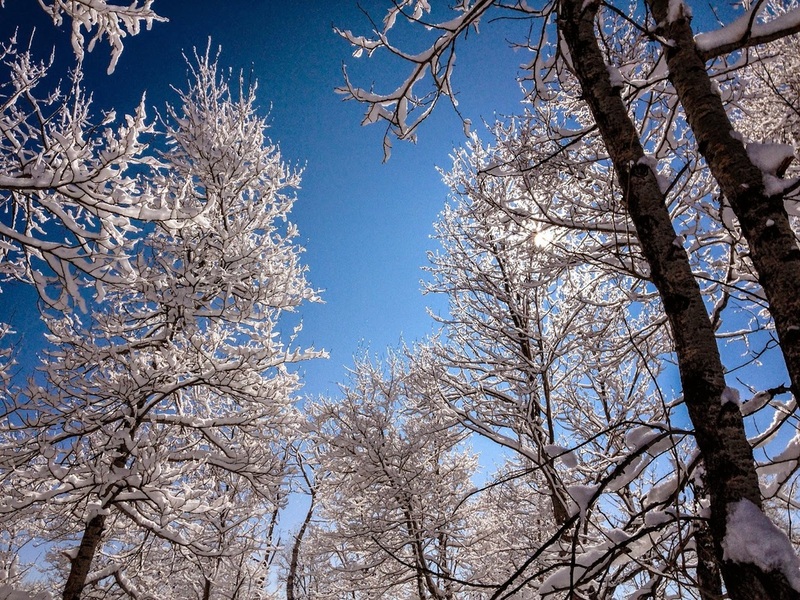 The result was a winter wonderland. 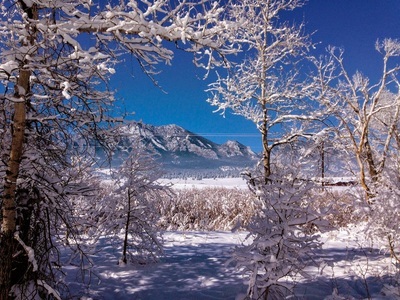 A truly beautiful bluebird Colorado day.